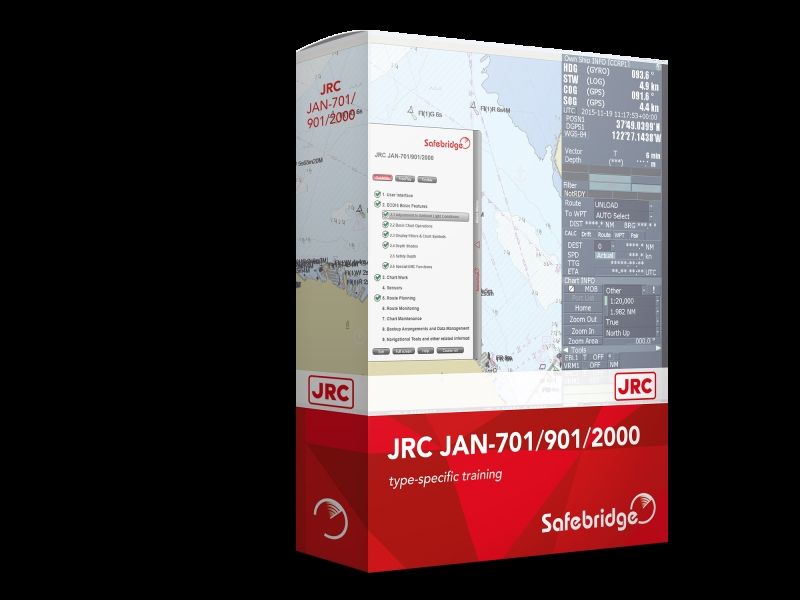 The JRC type-specific training course provides officers with the system knowledge required to use this ECDIS for watchkeeping in accordance with the regulations of STCW and the ISM Code. The guided tutorial, with a duration of approx. 16 hours, covers the equipment familiarisation requirements of IMO Model Course 1.27 and MCA MIN-503(M) for the functions and controls of the JAN 701/901/2000 ECDIS. A course booking provides you with a three week time frame to complete the course, repeating Modules where necessary, and to use the "FreePlay" Mode, which allows you to practice freely on the manufacturer's original, type-approved, software. The courseware includes a final test of no more than 1 hour duration, which can also be repeated, leading to an individual certificate.